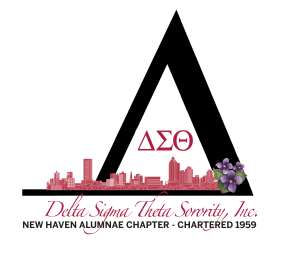 New Haven, CT, March 15, 2017 – The New Haven Alumnae Chapter (NHAC) of Delta Sigma Theta Sorority, Inc. and members of the greater New Haven community penned a letter to President Donald J. Trump expressing concerns about numerous policies he has created and appointments he has made that many feel run counter to the principles and values of the country. To date, nearly 200 area citizens have signed the letter which is being mailed to Mr. Trump this week. The detailed letter expresses concern in several areas including Trump’s stance on immigration, the Affordable Health Care Act, women’s reproductive health, education and the controversial make up of his advisors and cabinet picks which include some with white Nationalists and anti-Civil Rights views and actions. “We call on you to demonstrate your ability to be the President of all the people. We call on you to reconsider your positions and take specific steps to create an administration that is competent and qualified and reflective of the diversity of this country,” the letter states. The social action committee of the NHAC initiated the letter as part of its on-going Conversations that Matter, a series of community meetings designed to provide a forum to share concerns and advocate for important issues at the local, state and federal government levels. The next Conversations that Matter event will be held at Delta Day at City Hall, Tuesday, April 4 at 5 pm at New Haven City Hall, 165 Church Street. 2 Paths Seen To Black Power Dear Mr. President…..